America's Deontay Wilder will defend his WBC world heavyweight title against Britain's Tyson Fury at the Staples Center in Los Angeles. The arena, which is home to NBA sides Los Angeles Lakers and LA Clippers, has a 21,000-seat capacity. 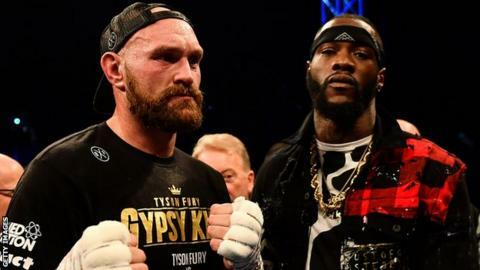 It was confirmed on Saturday that the bout between Wilder, 32, and Fury, 30, will take place on 1 December. Both Wilder and Fury are undefeated, with Wilder registering 39 knockouts from 40 fights. Fury, who returned from a two-and-a-half-year spell out of the sport in August, has not lost in 27 fights. Wilder has held the WBC title since January 2015 while Fury previously held the IBF, WBA, IBO and WBO heavyweight world titles. Smith v Groves: How will boxing fare in Middle East?